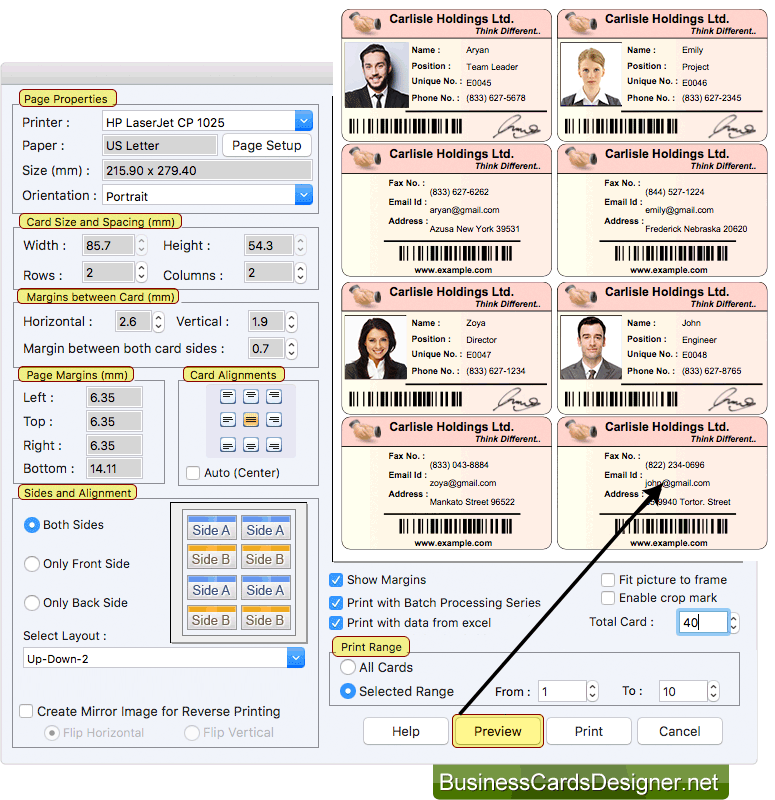 For creating ID cards, software provides five modules. Select any one module as we have selected 'Start by using Wizard' option and then specify card information in next screen. 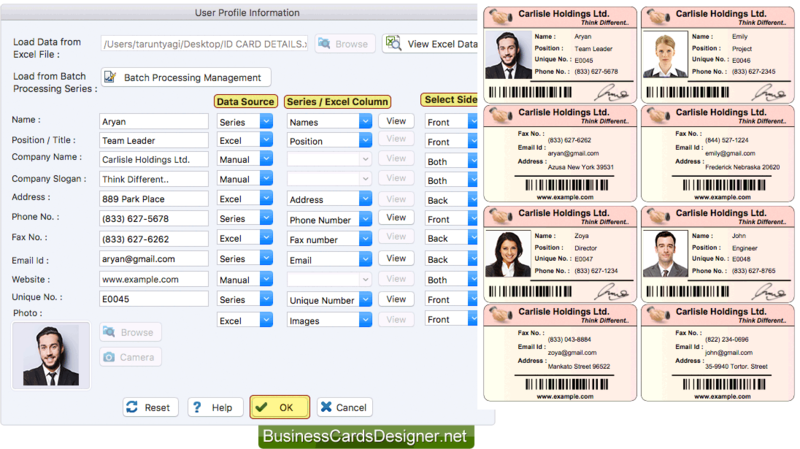 For generating multiple ID cards, import excel file data and you can also create batch processing series. Select Data Source, Series / Excel Column, Select Sides and click OK button. Here you can see Front Side of ID card, similarly you can design Back Side of ID card. To print ID cards, click print option. 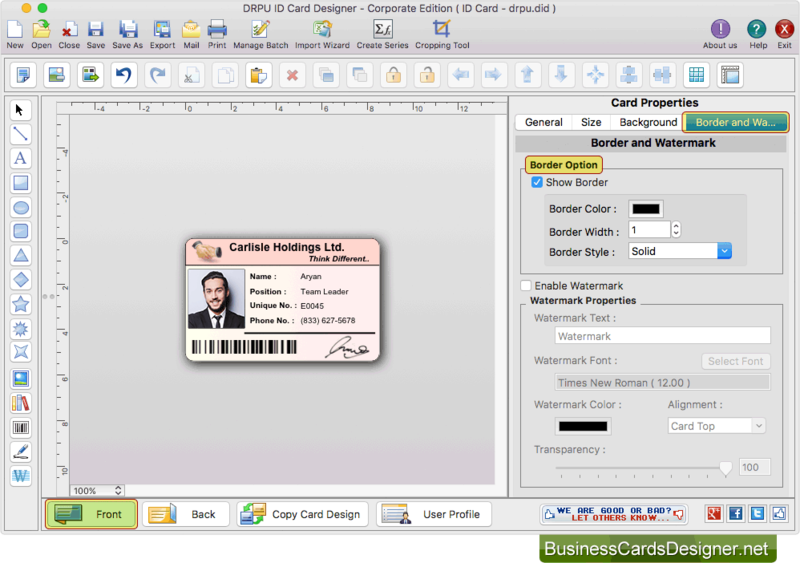 Adjust various print settings and click on Print button to print ID cards. Click on Preview button to see the preview of ID cards.